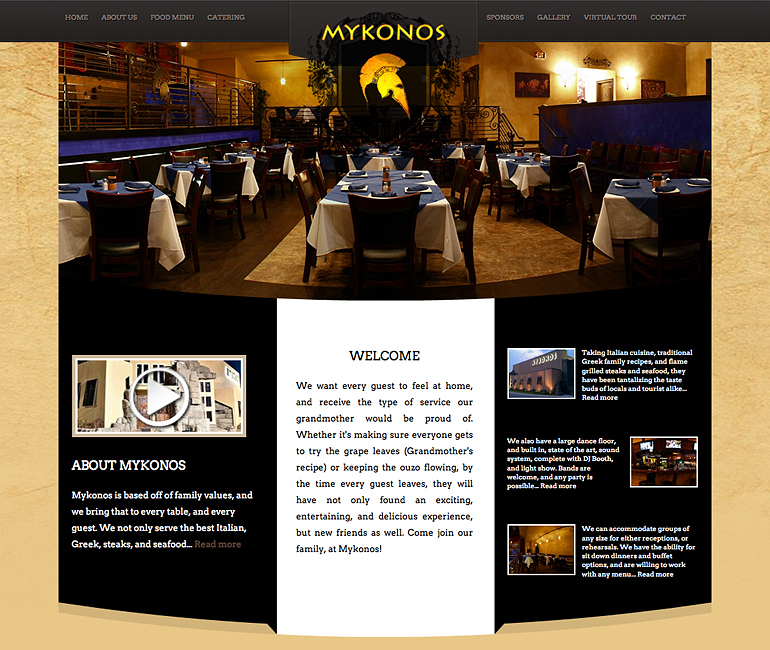 Mykonos Restaurant and Lounge - Ellev - The Best Full-Service, Award-Winning Ad Agency in the Carolinas! Mykonos restaurant and night club has been one of the hottest Myrtle Beach attraction since it’s opening day! When they gave us the tap on the shoulder to build their new site complex – www.dinedrinkanddance.com – which consisted of a landing page, the Mykonos restaurant site, and the Spanish Galleon website, we were excited to undertake such a interesting challenge. This multiplex of sites was set up on a WordPress frame work with each site having it’s own individual theme. This is a very efficient way for companies to handle multiple sites at a one time! We enjoyed working with them and look forward to future projects!